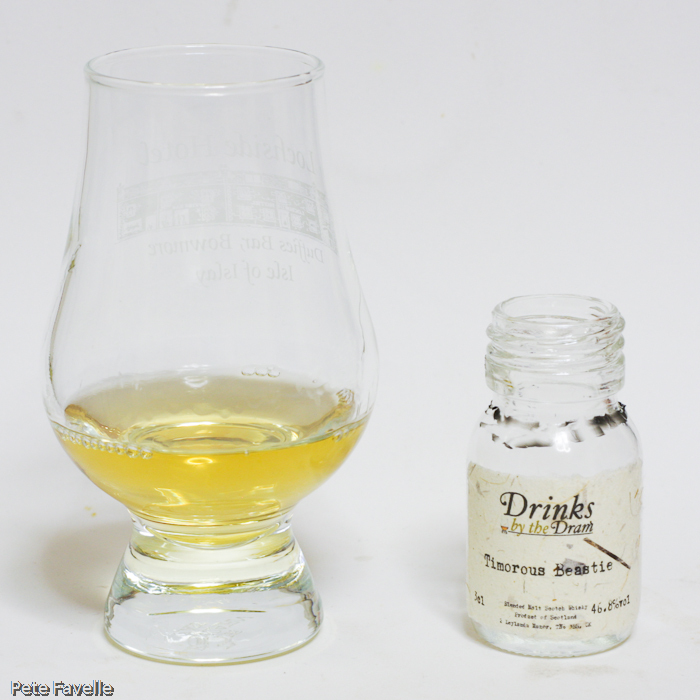 Timorous Beastie comes from the folks at Douglas Laing – an independent whisky blender and bottler based in Glasgow. As well as blends, they produce an impressive array of single cask whiskies from a range of distilleries. Timorous Beastie is a blend of Highland single malts, including whisky from Glen Garioch, Dalmore and Glengoyne. The nose is light and floral; heather honey with touches of cream and just a whiff of freshly harvested barley. Watered, more of that fresh, slightly grassy barley comes through. In the mouth it’s fresh and honey-sweet, with a gentle green apple fruit and further echoes of heather. The finish has a building spice warmth to it that contrasts nicely. Water tames it, bringing the green fruitiness to prominence but robbing you of that punchy finish. All in all, rather a tasty dram – definitely one to enjoy straight though, to preserve the depth of flavour. 3.5 stars.